Wind energy is a clean, renewable and cost competitive practical solution to help eliminate our dependence on foreign and domestic oil. And, today Clipper Windpower and BP Wind Energy announced a joint venture agreement for the “Titan Wind Project.” Clipper Windpower is in the business of providing advanced technologies and services for large-scale expansion of wind energy. It is anticipated that the growth of the wind energy industry will be substantial given it is clearly a viable alternative to inefficient, costly and polluting carbon-based fuel generation. London (UK), Carpinteria, CA (USA) – October 22, 2008 Clipper Windpower Plc (“Clipper”) today announced that it has completed its 50:50 joint venture (“JV”) agreement with BP Wind Energy for the development of the Titan wind project, a 5,050 megawatt (MW) wind energy development located in South Dakota. The project is expected to be constructed in multiple phases and, when completed, will be the world’s largest wind farm. The new venture has signed a Master Turbine Supply Agreement for the purchase of up to 2,020 Liberty wind turbines [if the project is fully built] from Clipper for the Titan wind project subject to pre-agreed conditions. Under the terms of this agreement, in addition to wind turbine supply, Clipper would provide operations and maintenance services for the Titan Project for a period of five years. Clipper Windpower, www.clipperwind.com, is a rapidly growing company engaged in wind energy technology, turbine manufacturing, and wind project development. 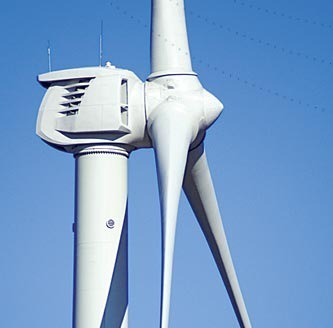 With offices in the USA (California, Colorado, Iowa and Maryland), Mexico, Denmark and the United Kingdom, and a ISO9001:2000 QMS Certified 330,000 square foot manufacturing and assembly facility located in Cedar Rapids, Iowa, the company designs advanced wind turbines, manufactures its 2.5-MW Liberty wind turbine and actively develops wind power generating projects in the Americas and Europe. Clipper is a public company listed on the London Stock Exchange’s Alternative Investment Market (AIM). Clipper’s ticker symbol is CWP. The ordinary shares of Clipper Windpower Plc are traded on the Alternative Investment Market of the London Stock Exchange and are not registered under the U.S. Securities Act of 1933, as amended. Such shares may not be offered or sold to residents of the United States or to persons acting on their behalf, or to other persons who are “United States Persons” within the meaning of Regulation S as promulgated under the Securities Act of 1933, unless such shares have been registered under the Securities Act or there is an available exemption from registration. 1 Comment on "Titan Wind Project to be World’s Largest, Joint Venture"
I love browsing your energy and environment site for the reason that you can always bring us new and awesome stuff, I feel that I should at least say a thank you for your hard work.